Mr. Kiti is a Canadian citizen of African origin. He wants to promote bilateral trade between Canada and Africa which would contribute to the development of the African continent and promote the growth of Canadian companies. In Africa, he worked for an oil company, and in Canada, he worked in banking as investment advisor. 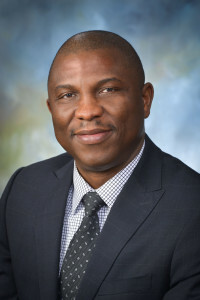 His expertise of the Africa business and its international trade skills are major assets for the prospection of clients or business partners and representation of companies. It was in 2015 that Mr. Kiti decided to create AFREMAC Consulting Inc. in Canada, New Brunswick. A few months later, Mr. Kiti opens AFREMAC Group in Benin to support Canadian and African companies.